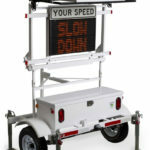 SpeedAlert 18 and SpeedAlert 24 portable, web-enabled radar message signs combine traffic calming and variable messaging to deliver the most versatile radar message signs available. Combining radar feedback with variable message s, our SpeedAlert family of radar message signs provides drivers with speed-dependent feedback by displaying messages specific to various speeds (“Slow Down” or “Too Fast!”) or dedicated messages depending on your needs at the time (“Flood Warning”, “Amber Alert”). 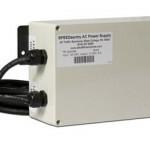 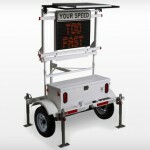 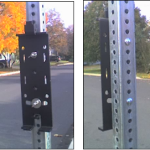 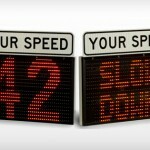 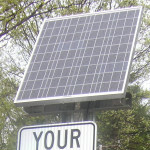 Mount SpeedAlert radar message signs almost anywhere— post, pole, trailer or vehicle— in about a minute. 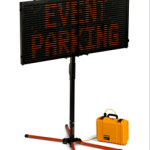 An available padded case makes moving the sign even easier. 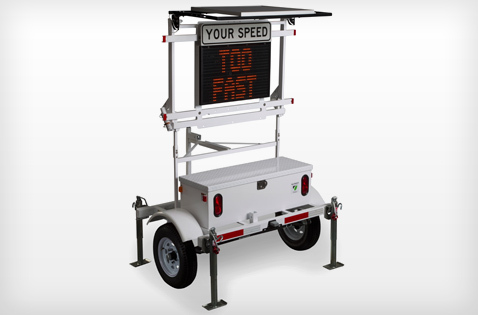 The welded aluminum enclosure, concealed mounting hardware, shatterproof Lexan and graffiti-resistant powder-coat make SpeedAlert radar message signs extremely rugged and durable. 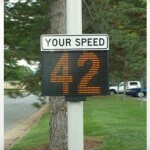 Achieve up to several weeks of run time. 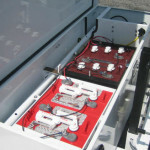 A dedicated compartment allows simple battery exchange. 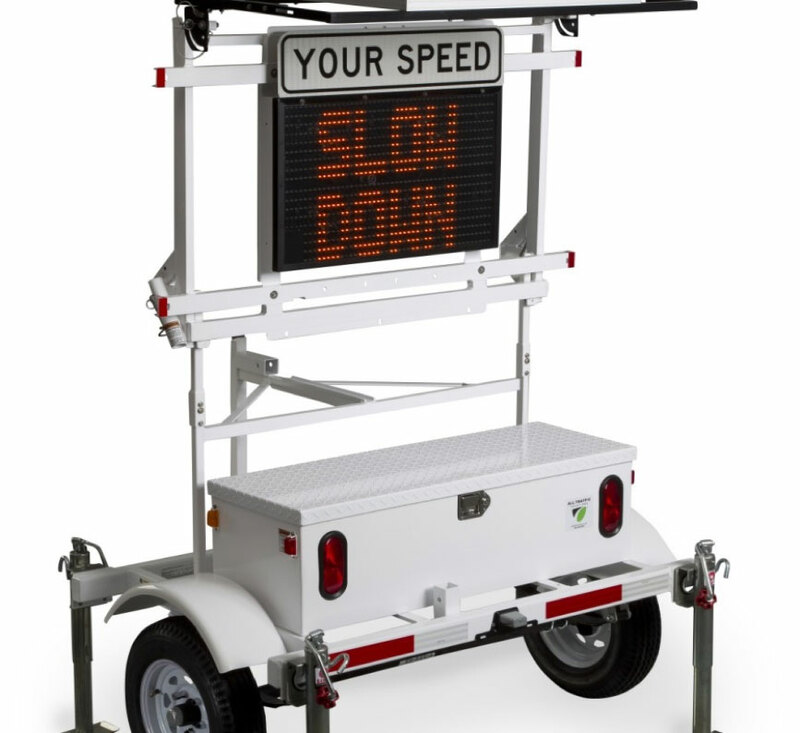 The unit accommodates almost any power source including Lithium battery, solar, AC or trailer to address a wide range of situations. 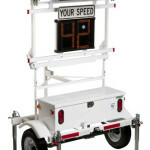 With the internal radar, display speed data or speed dependent messages with up to 24” characters for greater visibility at any speed. 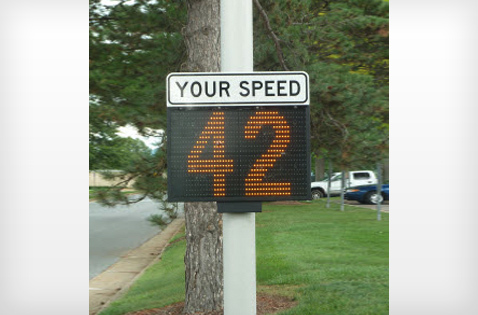 Program up to six different modes or speed limits for up to six time periods a day. 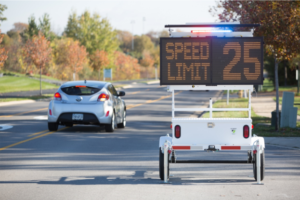 Collect volume and speed data to isolate speeding problem areas and prioritize enforcement using the TraffiCloud. 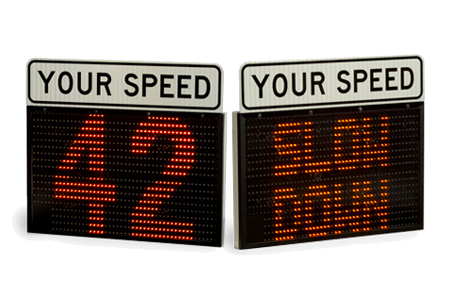 * Stealth mode lets you collect baseline data, unaffected by the active speed display. 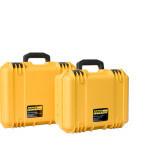 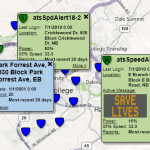 Make local setting changes and collect data with a USB or use the ATS Mobile Android App or a PC connected with Bluetooth. 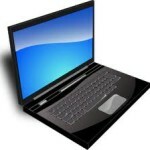 ATS hosts your data and provides free access to it over the Internet. 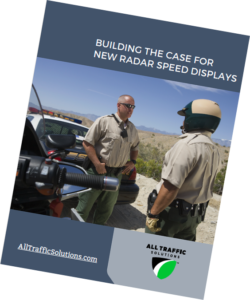 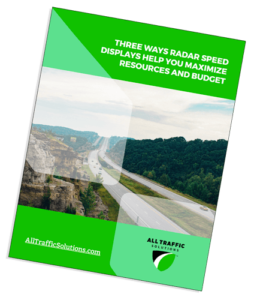 Download your free guide for tips, facts and statistics you can use when writing your proposal to demonstrate the value of employing radar speed displays in your community. 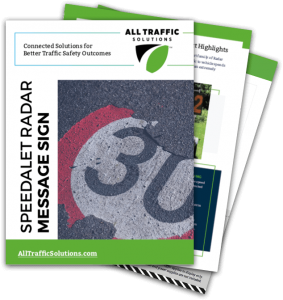 Download the SpeedAlert radar message sign brochure. 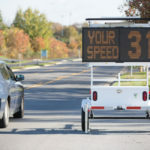 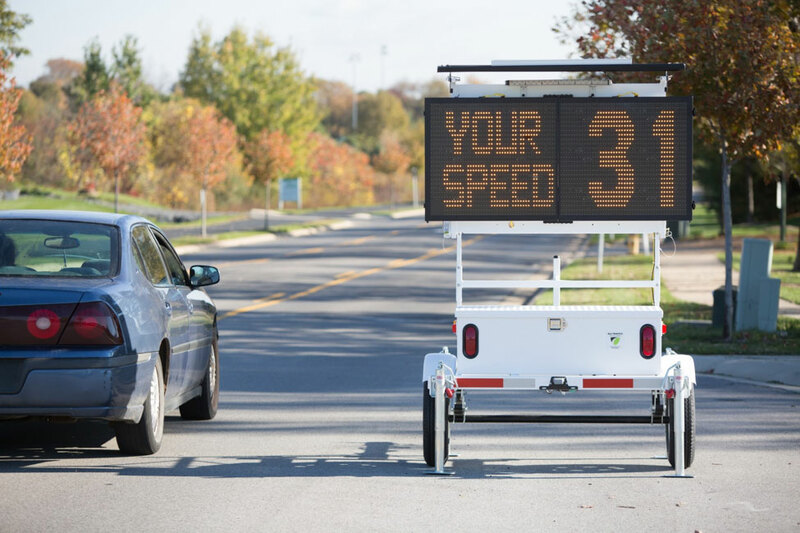 Optimize budget and resources by using web-enabled radar speed displays and data analytics for your traffic calming and safety efforts. 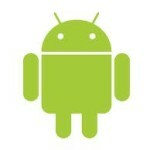 Cloud based and Turnkey – No IT. 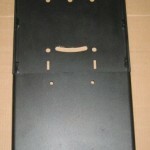 Unit works out of the box.